May 2, 2018 by Bill McMurdo "Merlin"
I want to share with you an amazing truth about your power to get wealth. Please read this teaching as an introduction. You will see here that God gives us the power to get wealth. It isn’t an Old Covenant blessing because it predates the Law. It is part of the Abrahamic Covenant. The power to get wealth is what I call the Billionaire Blessing of Abraham. Genesis chapter 12 tells us that God promised to bless Abraham and a short time later, after a trip to Egypt, Abraham comes back so wealthy that he struggles to find land big enough to contain his possessions (see Genesis 13:1-5). Abraham is blessed at billionaire levels just by being God’s covenant partner and friend. Now note that the power to get wealth is given to us to establish the covenant that God made with the fathers i.e. Abraham, his son Isaac and his grandson Jacob. This word “establish” means to confirm or ratify. It means to prove the veracity! Some theology smartalec might point out this power spoken of in Deuteronomy 8:18 was given to Israelites in the Old Testament; however, it is clear from the text itself that it is not part of the Sinatic Covenant or the Law – it is an Abrahamic Covenant blessing. God gave the power to get wealth as a means of establishing the covenant He made with Abraham, Isaac and Jacob. Jesus was made a curse to get this Billionaire Blessing of Abraham upon us. So it is clearly a blessing that transcends the Old Covenant. It predates the Law. More than four hundred years before the Law – which formed the contract made with YHWH by the children of Israel as part of the Sinatic Covenant – the covenant of YHWH with Abraham was in effect. The Law cannot make the Billionaire Blessing of Abraham of no effect, even though Israelites were obliged to keep it and failure to do so hampered their ability to walk in blessing. Now we have seen that the power of God to get wealth is given to ratify or confirm the Abrahamic Covenant. But look at this verse in Galatians 3:17 – it tells us that God confirmed or ratified the Abrahamic Covenant IN CHRIST!!! Put these two verses (Deuteronomy 8:18 and Galatians 3:17) together and it is abundantly evident that CHRIST IS OUR POWER TO GET WEALTH!! God has given us the ultimate advantage economically by giving us Himself. When you think upon it, it is impossible to fail in life if we just let Him live big in us. The power to walk in infinite levels of supply and manifest billions is resident in us. We are God’s house. We are the Bank of Infinite Supply. We are the answer to systemic poverty in the earth. God has put you on this earth to be a portal that taps into supply from the glory realms above in order to met the needs of mankind. May 1, 2018 by Bill McMurdo "Merlin"
God gives the power to get wealth. Israelites had this back under the Old Covenant but, because their rightstanding with God was based on keeping the Law, this power to get wealth was often hampered by their backsliding. Note that this power to obtain wealth was part of the Abrahamic Covenant, not the Sinaitic Covenant which we know as the Old Covenant. This is why this wonderful blessing is available to us today – we are blessed in Abraham (Galatians 3:8,9). God has ordained that the power to get wealth is what establishes the Abrahamic Covenant. The Abrahamic Covenant is the over-arching covenant with man of which the Old and New Covenants are components. Jesus came to fulfil God’s promises and oath to Abraham. Walking in the power to get wealth – what we are calling Abraham’s Billionaire Blessing – was available under the Old Covenant that God made with the children of Israel at Sinai. But their failure to keep the Law hindered this power from having its full flow in the lives of God’s people. This was because failure to adhere to the strict demands of the Law brought curses upon those who transgressed (see Deuteronomy 28). Jesus redeemed us from this hindrance i.e. the curse of the Law, by becoming a curse for us. This removed the obstacle so that the power to get wealth could work without hindrance in our lives. 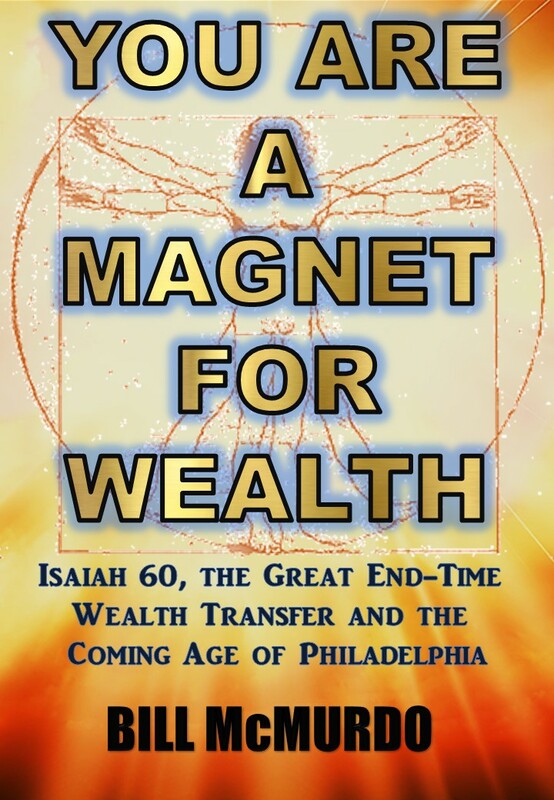 Remember that it was YHWH who said the power to get wealth was what established i.e. proved the Abrahamic Covenant. If you have a problem with this, take it up with Him! Now, the promise of the Spirit mentioned here in Galatians 3:14 simply refers to the indwelling Presence and power of the Spirit of God coming to live within us. It is one thing to work for a billionaire – many of us do- but it is another thing entirely when a billionaire comes to live in your home! No more cheap furnishings or ten year old bangers sitting in your driveway! Billionaires don’t live substandard lives or shop in charity shops. The God of Infinite Supply lives in you. HIS power to get wealth resides in your spirit. The giving of the Holy Ghost meant that God’s power would be no longer just with or for His people – it would be IN them!! This power to get wealth is now upgraded to the nth degree. It is not subject to any Old Covenant or Law restrictions. The power to get wealth is part of a covenant that predates the Law. The Law could not make the promise of the Abrahamic Covenant of no effect. In other words, the Abrahamic Blessing was not negated by the Law. However, the curse of the Law had to be removed so that this Blessing could flow freely. Jesus fulfilled the righteous requirements of the Law and nailed the curses to the Cross in His own body. The Abrahamic Blessing predates the Law. The Law was given with the Old Covenant. Now we have a New Covenant and God has come to live in us. This means the power to get wealth is not external to us. The power of the Holy Spirit has come upon us and in us. This is the power to get wealth!! The word “power” here is dunamis in the Greek and means power, might, strength and ability. It means the power to do miracles. One meaning of dunamis not often mentioned is: the power and influence which belong to riches; (pecuniary ability), wealth. In other words, the power to get wealth!!! The Holy Spirit comes upon us to give us power to obtain wealth! Romans 1:16 tells us that the Gospel is the power of God. This is also dunamis in Greek. This is why the Gospel is to be preached to the poor – when we preach, it literally empowers people to get wealth. God has given us His Word and His Spirit as the power to obtain wealth. You may not have heard this but you are going to hear it more and more. This wonderful revelation is going to hit planet earth and shatter the Babylonian world system into pieces. The glory of the Lord will cover this earth as the waters cover the sea. September 24, 2016 by Bill McMurdo "Merlin"